Seat up to four plus the pilot. Jaws of the Dragon ! 40,000 happy passengers have enjoyed Mt. St.
Helens tours. Call (360) 274-7750 for info. 2014 Tour Reservations Start Jan 1.
vacations. We look forward to seeing you. 2014 Ticket Pricing - Starting at $199 per person. limited ! 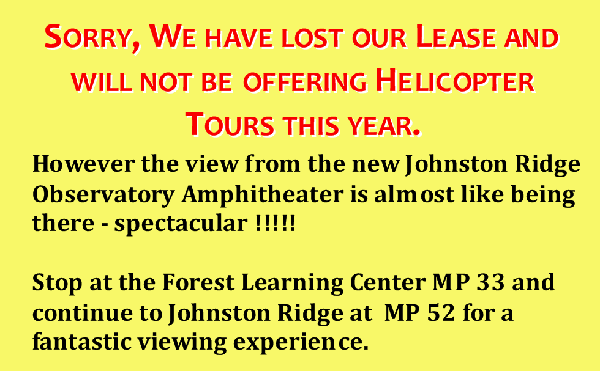 Click for Helicopter Reservation and Info Page.